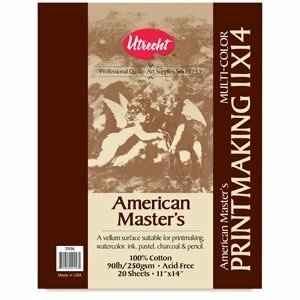 Utrecht American Master’s Multi-Color Printmaking Paper Pads are made of 90 lb, acid-free, premium 100% cotton rag fiber. Developed for fine print editions, this all-purpose paper works well with all media. 20 sheets. Made in the USA.